Tuesday evening is an unusual time for a race but I loved heading out of the office to put on my running shoes! 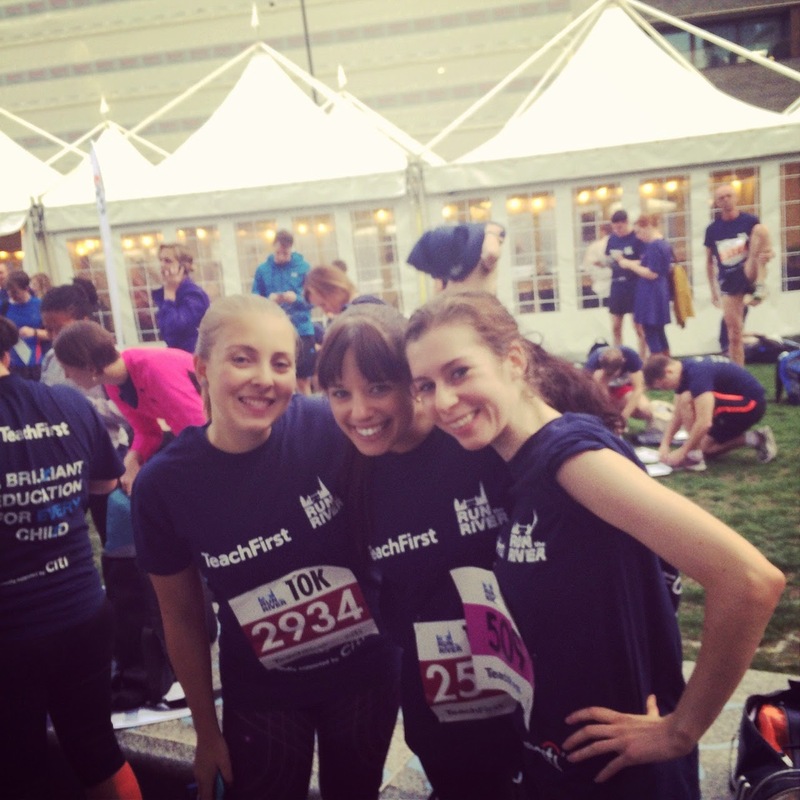 I met up with a bunch of lovely running ladies (Leah, Emma, and Lucy) to take on the Teach First Run The River race– I’d originally signed up for the 10k, but with Ealing Half Marathon looming on the horizon I decided to drop down to the 5k option. Besides, that’s what all the other girls were doing and it sounded much more fun to run and chat with them! 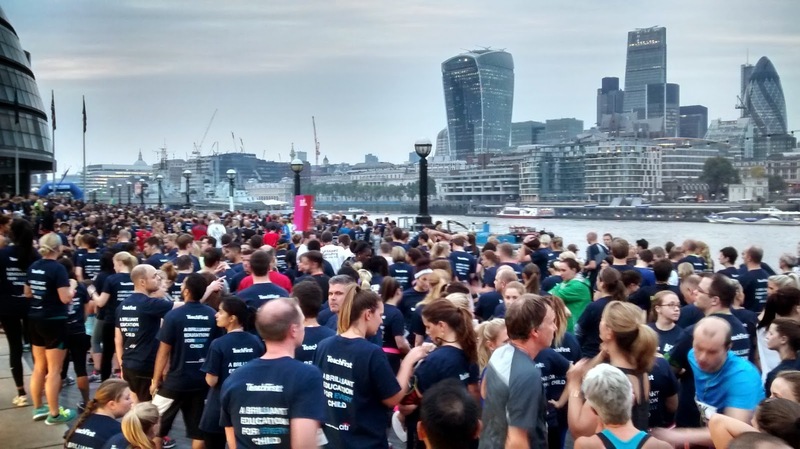 The race started and finished at Potters Fields Park and followed a partly riverside route over Tower Bridge and past the Tower of London, before crossing over Southwark Bridge to take in Southwark Cathedral, the Shard and HMS Belfast. Those people running the 10k then completed a second loop of the course. It wasn’t a closed route, so there was quite a lot of congestion, and a lot of the course was on pavements/roads. This became a little dangerous with runners dodging pedestrians, cyclists and traffic although there were marshalls in reflective jackets directing people. Everyone taking part in the race received a free cotton t-shirt which had to be worn during the race, so marshals could identify the runners, but being cotton not everybody wore them, or wore another vest underneath so they could whip their top off when they got too hot! The Race Village opened at 6:15pm for baggage drop and tshirt collection, and had a reasonable number of portaloos set up as well. Then everyone lined up along the riverbank, and was set off in a waved start based on estimated finish time (indicated by different coloured race numbers). 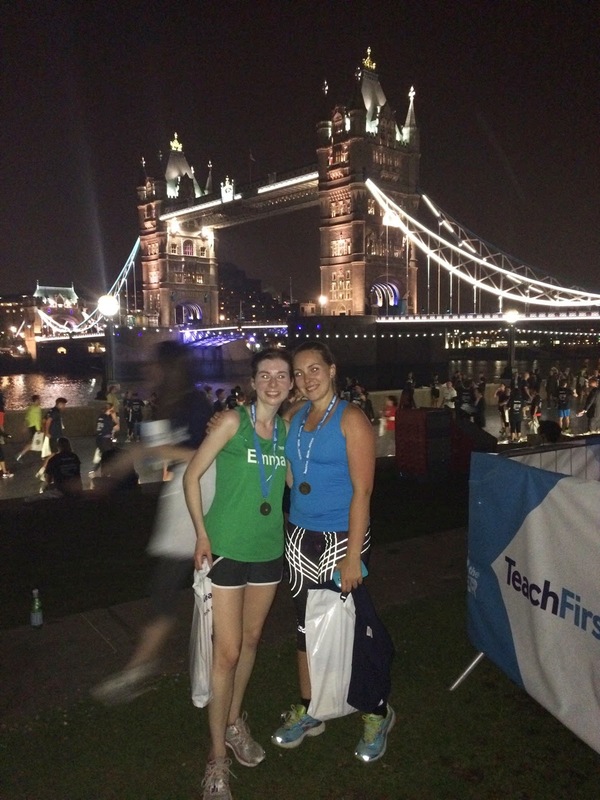 We looped around and started off running over Tower Bridge, which of course meant Lucy, Emma and I had to take some photos. Out attempts were a little blurry but I think they’re a good indication of the enthusiasm and fun we were having! I always love running past the sights of London, although I would have preferred a more river-based route. We actually spent more time on back roads than I thought we would, and the most spectacular part was definitely crossing Tower Bridge. But I enjoyed running along chatting with Emma and Lucy- we completed the race together and it was great to catch up having not seen them for ages! Since our yoga and cake date in April in fact! This wasn’t really a race to set a PB with (although we did have timing chips attached to our shoes) due to the congestion and narrow course. 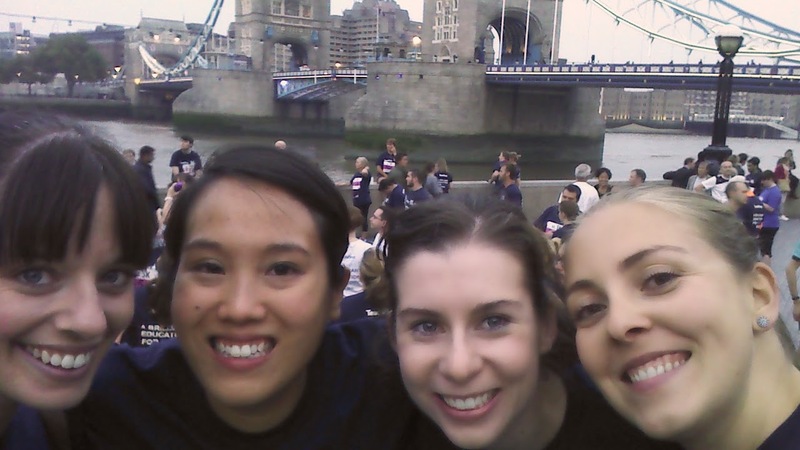 Some seriously speedy 10k runners who dashed past us yelling were definitely trying, but I felt the atmosphere was more one to enjoy with friends and take in the spectacles of London. 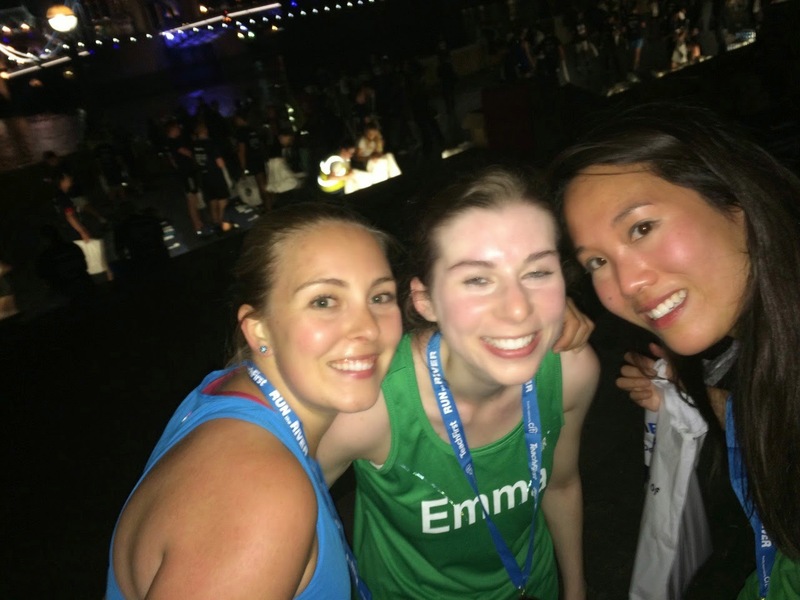 I’ve no idea what time we finished in, but Emma, Lucy and I crossed the finish line holding hands and whooping (!) 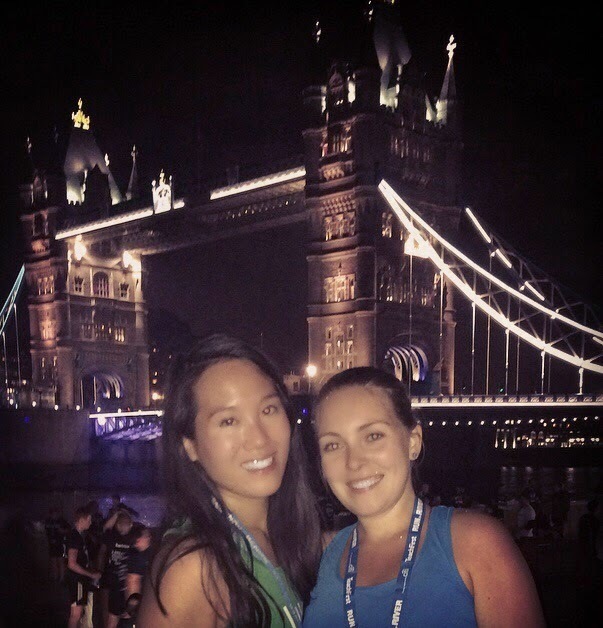 and made sure to snap some photos with Tower Bridge lit up behind us! We were given a medal and a pretty decent goody bag with snacks, sweets and shower gel (?) before attempting to get our bags back . This ended being a massive shambles, with all bags piled in a heap in a tent with no lights. Poor marshalls were attempting to locate people’s tagged and numbered bags with tiny torches and mobile phones in the dark which took ages! And unfortunately when I got my bag back my water bottle and Oyster card wallet had fallen out of the front pocket of my bag- I managed to get my bottle back but the Oyster card was gone. This is where TFL is actually great- my Oyster card is registered online, so I just clicked “my card is lost/stolen” and they will cancel the old card, send me a replacement and load any outstanding credit onto the new card. Brilliant! And due to the roll out of contactless payment, I could get home super easy just using my contactless Debit Card- ah the wonders of technology! 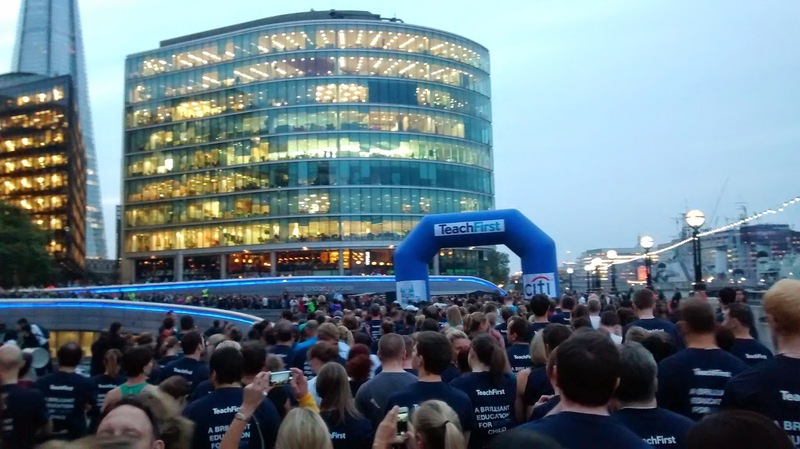 This race was in aid of Teach First, an organisation that believes a child’s socioeconomic background should not limit the opportunities they have in education and in life. Their mission to end educational inequality involves developing leaders in schools, helping young people decide their future, encouraging innovation in education and building a movement for change. To find out more and get involved visit the Teach First website. Do you prefer to run for fun or a speedy PB? What’s your favourite landmark to run past? London definitely has some good ones! NB: I was given a blogger’s place for this race but all opinions are my own. 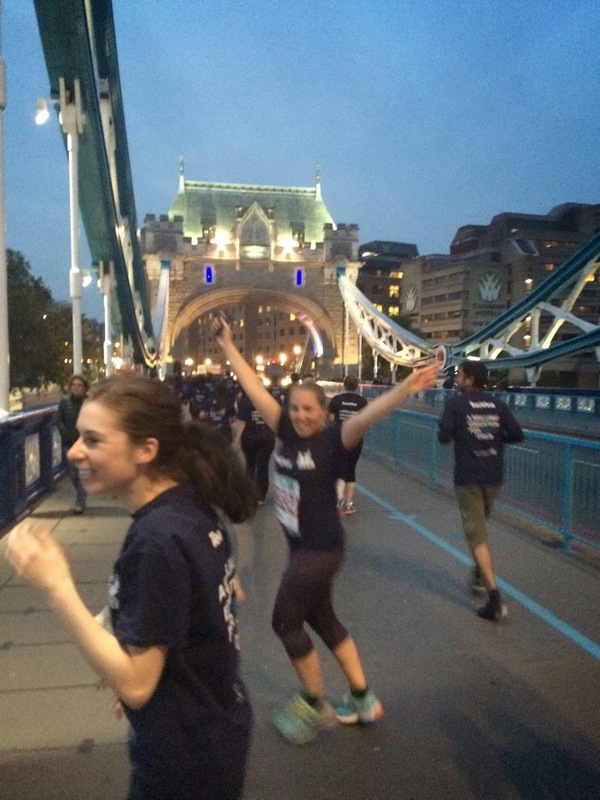 I did this race too and get what you mean about the route being mainly on back streets – the worst bit for me was going through that weird tunnel bit that was like a sauna but also smelt of rubbish! Also I don't think the choice of a navy t-shirt for a run in the dark was very wise…! Great that you got to share it with some great friends, I bet that would make all the difference – I did see quite a few people getting aggressive towards others and even saw one girl push another one out the way! Have to say that shocked me, I normally feel a sense of camaraderie with other runners but was clear others didn't! Every now and then I like a pb race, as it is good to have a bit of a confidence boost, but generally I prefer scenery, or company. 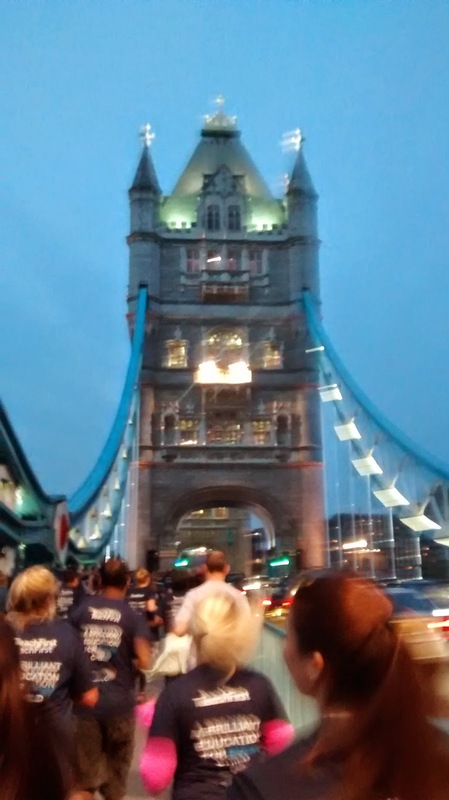 Totally agree that this was too congested, I entered hoping for a pb, but after the first 5 minutes realised that wasn't going to happen & decided to just relax and enjoy the scenery, fab view of Tower Bridge at 8k and agree that there's something special about running at night. Waited about 20 minutes for my bag, but when I left the queue was massive.